In the Textiles category, we offer you a wide selection of textiles that are required in general surgeries, physiotherapy practices, care facilities and rehab clinics. Here, you will find terry cloth sheets, various sizes of towels and blankets. 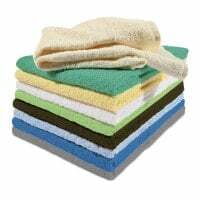 Towels are most notably used in physiotherapy and massage practices. 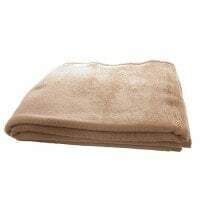 We offer a wide range of towels, available in various sizes and colours. Here, you will find blankets to cover your patients and keep them warm during infusions or acupuncture treatment. Whether you need cushion covers, examination table covers or stool covers - in this category, you will find textile covers in many designs and colours. Medical textiles include all textile products that are used in the day-to-day operations of a surgery. This especially includes sheets, blankets, various covers and towels. Physiotherapists and naturopaths, in particular, need a variety of various textiles for their daily activities. Couch sheets not only preserve the examination couch, but they also offer the patient a high level of lying comfort. 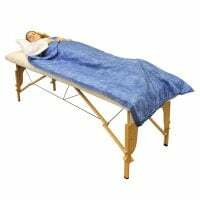 Sheets are particularly popular for massages and naturopathic applications. With Praxisdienst, you may order sheets in various sizes and in a range of modern colours at affordable prices. 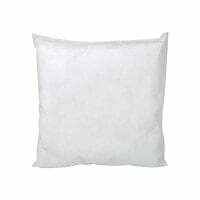 Terry cloth, elastic sheets are easy to place on the table and are particularly skin friendly. In the Textiles category, you will also find a large selection of various-sized towels. 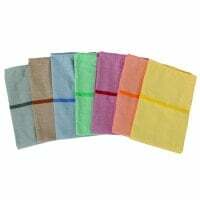 The terry cloth towels are not only suited for drying patients, but also for covering massage tables or for wrapping heat packs for physiotherapeutic purposes. Our assortment of textiles is rounded out by blankets of various qualities. The blankets are most often used to keep patients warm during infusions, acupuncture treatments or massages. Do you have questions about our textiles or are you looking for a specific product? Our customer service will happily help you by email, chat or telephone.